Gone to The Great Newspaper in the Sky to join her friends. Born Jan. 23 1937 in Seattle. 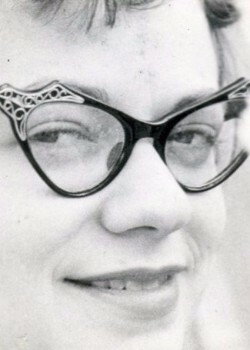 Graduate of Roosevelt High School, Seattle, 1954; and the University of Washington Department of Communication, 1958. 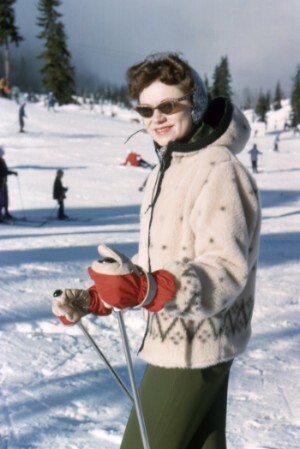 Ms. Gilje worked at The Anchorage Daily News, The West Seattle Herald, The Bremerton Sun, The Seattle Post-Intelligencer and The Seattle Times. She retired in 2001 after more than 30 years as a reporter, editor and columnist at The Times. She was perhaps best known to readers for the 18 years she wrote a consumer advocacy column at The Times called The Troubleshooter. Before “job shares” were common in the workplace, Ms. Gilje and Polly Lane persuaded then Times managing editor Henry MacLeod to hire each of them part time. Though they weren’t officially yet on the staff, they persuaded a Times artist to draw an illustration of two women in suits and heels pedaling a tandem bicycle, and called the concept “Tandem Helpers.” Ms. Gilje once concluded that MacLeod finally hired them part-time just so he wouldn’t have to endure their continuing sales pitches about the idea. 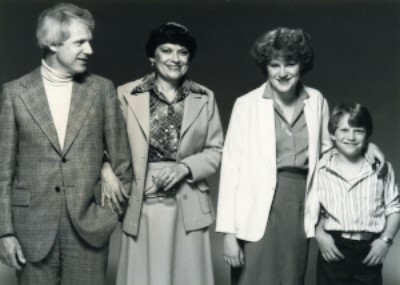 Her husband, Svein Gilje, also spent some 40 years in the news business including at the PI, Times and Bremerton Sun. He was the founding president of the Nordic Heritage Museum in Ballard, the first museum in the United States to incorporate the culture and art of all five Nordic countries. 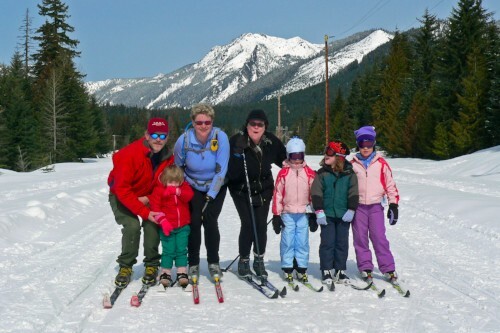 The Giljes enjoyed cross country skiing and raising oysters at their beach cabin in South Puget Sound. They regularly donated “oyster baskets” with fresh oysters and premium wines for museum, church and school fund-raising auctions. 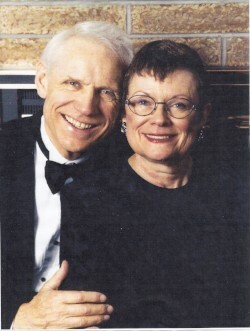 In April 2007, Ms. Gilje completed six years of volunteer service on the Board of Trustees for People’s Memorial Association, a nonprofit organization that works for dignified, low-cost burial and cremation. She served as president for two years on the PMA board and was active in negotiating with funeral homes for services for the organization’s members. 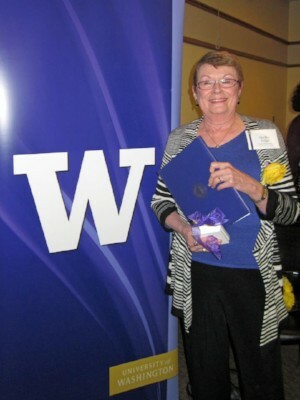 She also served eight years as a volunteer for AARP, six of those years on AARP’s Washington State Executive Council. While working in the news business she served six years on the board of the Western Washington Chapter of Society of Professional Journalists, including two years as president. In 2011 she was inducted into the UW Department of Communication Alumni Hall of Fame for her distinguished service and achievements. 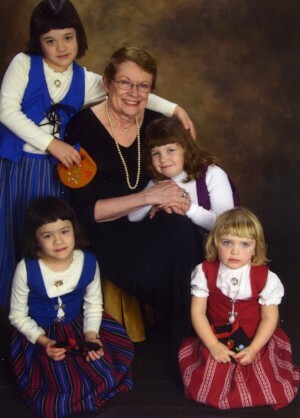 Her four “grand girls,” as she called them, were the light of her life, and they in turn loved spending time with their “Bestemor” (Norwegian for grandmother). She enjoyed making heart-shaped waffles with them, monthly “pizza and haircut” nights at her home, showing off their artwork, and attending their school concerts, soccer games and other events. She is survived by a daughter Kari Gilje (Michael Chiu) of Fall City, and a son, Kurt N. Gilje (Jennifer Hlaudy) of Seattle, and four granddaughters, twins Analise and Kristina Gilje Chiu, Fall City, and Chloe and Olivia Hlaudy Gilje, Seattle; a sister, Shelley Collard Daniels of Lake Stevens; two brothers, Nelson B. (Joe) Collard Jr. of Yelm and Kevin (Kip) Collard (Donna Collard) of Auburn; and numerous nieces and nephews here and in Norway. Remembrances may be made to People’s Memorial Association and the Nordic Heritage Museum. A celebration of Shelby’s life will be held at the Nordic Heritage Museum in Seattle on Saturday, January 21, 2017 at 1:00 pm. We would love to have photos and stories to include in the celebration of Shelby’s life!